February 8, 2016 Archives - Clarksville Sports Network - Clarksville Tennessee's most trusted source for sports, including Austin Peay State University. Knoxville, TN – SEC play rolls on for Tennessee when it welcomes Auburn to Thompson-Boling Arena Tuesday for a 7:00pm ET/6:00pm CT tip on the SEC Network. The Vols (11-12, 4-6 SEC) got 24 points from senior guard Kevin Punter Jr. but fell 85-67 at Arkansas in its most recent action. Punter’s 24 points marked his 17th game of 20-plus points this season and pushed the All-American hopeful’s season-long scoring average to 23.2 points per game. That figure ranks second in the SEC and eighth in the nation. Auburn (9-13, 3-7) has lost five straight games, including a 65-55 defeat at the hands of Georgia on Saturday in Athens. 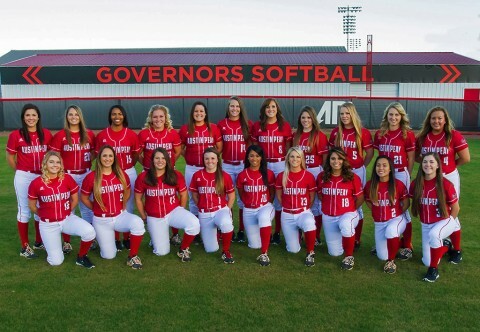 Clarksville, TN – With a roster that boasts five seniors and six juniors, Austin Peay State University’s softball team opens its 31st regular season on February 12th at the Gardner-Webb Tournament looking to start a run that will end a string of eight straight campaigns without making the postseason. The Lady Govs finished 2015 with an overall record of 9-37 — 5-22 in Ohio Valley Conference play — but its senior and junior laden roster returns seven of nine position starters and all five pitchers from 2015.